February is known for Valentine's Day, but did you know it's also Responsible Pet Owner's Month? We think these celebrations go hand-in-hand because there's no better way to show your pet love than by being a responsible owner. From grooming and brushing teeth to practicing preventive care and teaching lifesaving commands, there are plenty of ways to make sure you're taking the best possible care of your dog or cat. Schedule yearly or biannual veterinary check-ups. One of the best things you can do for your pet is to make regular visits to the veterinarian. Wellness checkups are important to the overall health of your animal and can help your vet catch the early stages of disease. In general, adult dogs and cats should have a check-up every year and senior pets should have a wellness exam at least once every six months. So go ahead and set up a veterinary appointment for your pet's wellness exam now. Waiting to visit the vet until your pet shows signs of illness is not a good idea since the signs of illness are often subtle. "Pets don’t tell us when they feel sick. Their instincts are often to hide pain and discomfort so as not to appear weak to others," says Dr. Andy Roark. 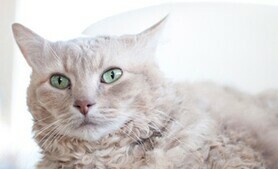 Prepare for pet emergencies and natural disasters. If a natural disaster strikes or your pet has an emergency, you'll want to be prepared. Make sure your dog or cat is included in your family's disaster plan. If you haven't already done so, have your pet microchipped to better the chances of him being reunited with you if he goes missing. And if your contact information has changed, be sure to update his ID and microchip. Finally, keep a first aid kit specifically for pets on hand. Dedicate more time to grooming your pet. There are a host of benefits associated with keeping your pet well-groomed. If you regularly trim his nails, brush his coat and bathe him, you should have less fur to clean up. Plus, he'll have fewer mats and tangles and will probably smell better and you can help protect your pet from painful injuries due to overgrown claws. Furthermore, you're more likely to notice any lumps and bumps or fleas and ticks. Best of all, grooming can be a great way to bond with your four-legged family member. Brush up on lifesaving commands. You probably already know that investing in dog training is a great way to teach good behavior and manners, but did you know it could also potentially save your pup's life? Now's the time to make sure your dog knows these three basic life-saving commands: "Down stay," "drop it" and "come." 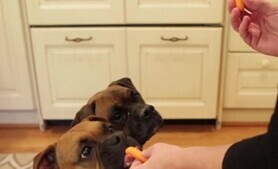 Dog trainer Mikkel Becker breaks down how to teach your dog these commands and explains why they're so important here. Make sure your pet is getting enough exercise. Regular exercise is crucial to maintaining the overall health and well-being of your animal. Not only does it help combat obesity, it also provides the mental and physical stimulation your pet needs to live a fuller, healthier and happier life. 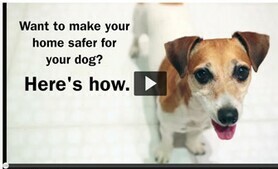 Start by talking with your veterinarian. He can assess whether your dog or cat is healthy enough for physical activity and can recommend an exercise plan that's right for your pet. 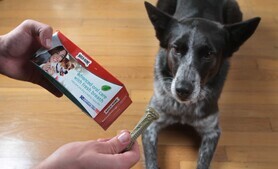 Enrich your pet’s life with interactive toys and food puzzles. 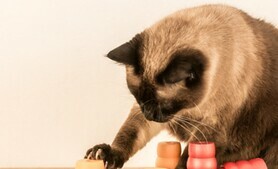 Toys and food puzzles are another great way to provide stimulation to your pet and promote better health. Whether your animal is a hunter or scavenger by nature, there are toys and food puzzles available that can fulfill his instinctual needs. They don't have to be expensive; there are plenty of simple toys that you can make for your pet using items lying around your house. Make sure your pet is getting enough socialization. Not properly socializing your dog or cat can result in an animal that is fearful, shy or aggressive in unfamiliar situations. The optimal time for socialization is when your pet is a puppy or kitten, as this is the time they are most receptive to new experiences; however, all pets can benefit from proper socialization techniques. Depending on your pet's comfort level, gradually expose him to all sorts of different scenarios, including places, other animals and people of all ages. Never force an interaction if he is stressed and reward him when he remains calm. A great way to get started is by asking your vet about socialization classes available in your area. Practicing preventive care can help keep your animal healthy and keep overall pet care costs down. As Dr. Marty Becker explains, it is usually easier and more wallet-friendly to prevent health problems than to treat them. So how do you practice preventive care? Well, a lot of it goes hand-in-hand with what you should be doing to be a more responsible pet owner. Scheduling regular wellness exams, practicing good oral hygiene and keeping your pet up to date on his parasite prevention medication are just some of the ways you can help your pet live a happier and healthier life. Learn how to decipher pet body language. 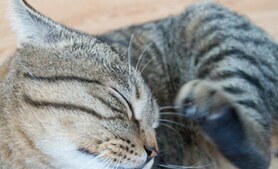 Ever wonder why your cat seems to love rubbing up against you? 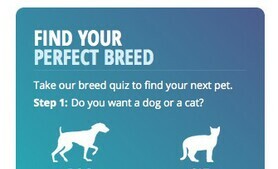 Or what your dog's wagging tail might mean? Knowing how to decipher your pet's body language will help you better understand what your animal is trying to communicate. For instance, you may be able to recognize when he isn't feeling so great, is stressed or doesn't want any human interaction. But decoding body language can be difficult. Here are common dog behaviors and cat behaviors that veterinary behaviorist Dr. Wailani Sung says are easy to misinterpret.